Buyers who have been cheated by builders can file a complaint online through the RERA website. 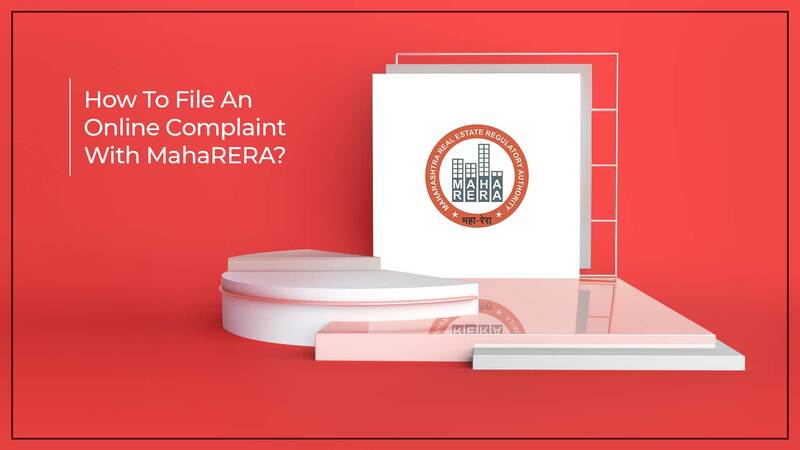 How to file a complaint under Maharashtra RERA online? Before registering a complaint, it is necessary to know the project details. Go to Maharashtra RERA portal and click on the application menu. A new page will be opened. Click on ‘Search Project Details’ option. Again a new page will open. Click on the ‘Registered Agents’ or ‘Registered Projects’ option depending upon whom you are lodging a complaint against. You will get the required details. Go back to the front page of the MahaRERA website. Click on the application menu. Click on the new registration option. After clicking, a dialog box will appear. You will be required to select user type. As a buyer, you have to select ‘complainant’ option as the user type. After that, you have to select the state or union territory. Maharashtra RERA page will have options like Daman and Diu, Dadra and Nagar Haveli and Maharashtra. You have to select one option. Create a new username and password. Also, fill in the mobile number. Once the details are filled, click on the ‘create user’ option. After you have created an id, you can log in to the RERA portal. You will have to provide personal details like residence details etc. Click on the ‘Add new complaints’ option available on the left side navigation pane. Enter the division and registration number. The project/ promoter name will appear automatically. Add the complainant name and select the type (Promoter/ Real Estate Agent / Allottee / Other). As a buyer, you have to select ‘allottee’ option. Enter the address of the existing office or the residence of the complainant as well as contact number and email-id. Add the respondent type. Respondent is the individual against whom you want to lodge a complaint. Enter the respondent name, type and the address of the office or residence of the respondent. After entering the above details, the facts of the case must be explained in not more than 250 words. It is mandatory to add files to support your description. Explain the relief sought in view of the facts mentioned in not more than 100 words. It is mandatory to upload documents in this section too. The complainant also has to seek interim order, if prayed for, with explanation exceeding no more than 100 words. The document should be uploaded to support your explanation. After you have filled in all the details and uploaded all the documents, you have to declare that all the information provided is true and is not pending before any court of law or any other Authority or Tribunal(s). After registering the complaint, the complainant needs to make a payment. The payment option is available on the left hand side. Click on the option and choose to pay online or offline.